In the beginning there were 366 small poems. Bengt Pohjanen wrote one poem each day during the leap-year 2012. He wrote them in meänkieli, which is close to Finnish but being a local variant in the northern parts of Sweden it is recognized as an official minority language in Sweden. Bengt called these poems escaping poems, or karkaavat runot in Meänkieli, based on the pun that leap-year is karkausvuosi (escape year) in Meänkieli (and Finnish). 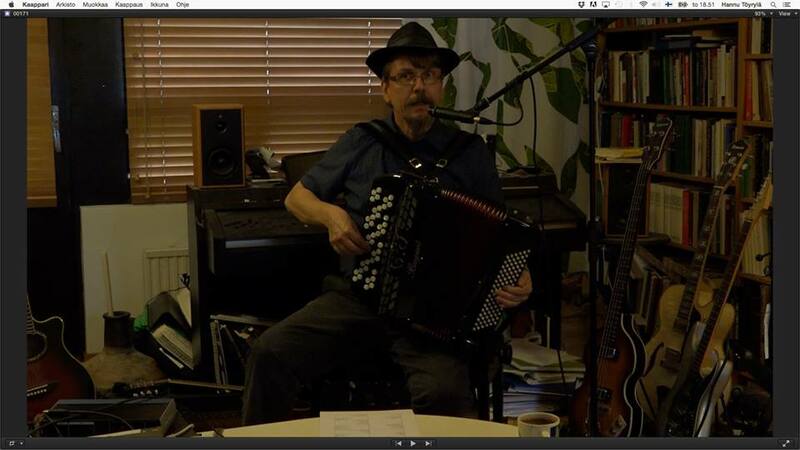 During 2013 Bengt then translated one poem each day into Swedish. And at the same time, the poems were actually escaping, reaching people here and there, and then returning back translated or even transformed. Gradually these poems developed by Bengt and his friends into a multilingual book of poetry. A number of poems were translated into Yiddish, also an official minority language in Sweden. I could then not resist the urge to pick up an accordion, then sit down by a piano, and try if I might be able to sing these texts in Yiddish. And yes, I think it goes. They are here, Escaping songs in Yiddish. Written by Bengt Pohjanen, translated by Staffan Böös and Jean Hessel. Transformed into songs by myself. אנטלויפנדיקע לידער. Originally published in Erratic explorations. Kategoria(t): In English, Lauluja. Lisää kestolinkki kirjanmerkkeihisi.